Triathlon is a massive sport in Australia, and more and more athletes are realising that self-care needs to be an important part of their training regime. At Mobilise, we specialise in supporting triathletes through their season, whether they are professional athletes, or participating for the challenge and the fun. We can help with body maintenance, injury recovery and prevention, technique correction and rehabilitation plans. Here’s a list of some of the questions we get asked in relation to sports massage and Triathlon. 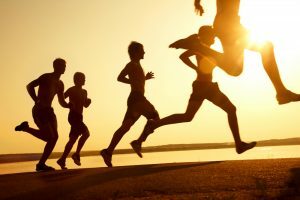 What are some common injuries in Triathlon? Bike: neck pain from extension with a helmet on, ITB issues, Quad issues, Glut and Lower back pain. Run: Hamstring pain and strain, calf, shin and feet issues. General: muscle fatigue, loss of flexibility, muscle recruitment pattern problems. At Mobilise, you have a choice between a Sports Massage with a Myotherapist, or a Sports Massage with a Remedial Therapist. The difference depends on what your goals and needs are as an athlete. If you are looking for an expert quality treatment that encompasses detailed postural, technique and ergonomic assessments, as well as a wider range of technique options within the treatment (deep tissue massage, dry needling, myofascial release, PNF stretching, joint mobilisation, sports and Rock taping) and includes any rehab planning needed, book a Myotherapy appointment. If you don’t have any real concerns, but are looking to keep your body performing at its best, increasing flexibility and reducing muscle fatigue and recovery times, book a Remedial Massage appointment. Both types of treatments are covered with health insurance. 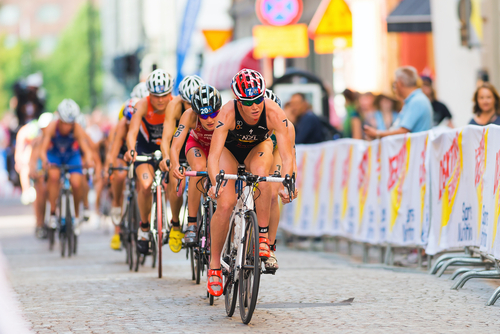 What are some of the benefits of sports massage for triathletes? What is the best timing for sports massages during the Tri season? Depending on intensity and competitive levels, Mobilise therapists will work with you to design the best treatment plan for your season. It may range from a one-off pre or post massage, to a weekly appointment to ensure you’re kept at your best. Developing a good relationship with your therapist can be extremely beneficial for those athletes who are serious about triathlon. Your therapist can not only support your general musculoskeletal needs, but as they get to know you and your body, they will be able to reduce your chances of overuse injuries becoming a problem long term. So if you are a seasoned triathlete, or a beginner looking to improve, give us a call today! 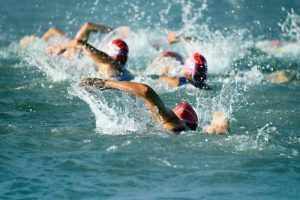 (07) 3870 5990 Our Myotherapists and Remedial Therapists (some of whom are high level triathletes themselves) would love to help you achieve your best in the awesome sport of Triathlon.